English side Tottenham Hotspurs are ready to fight Italian outfit Napoli for Aston Villa defender Aly Cissokho, according to Daily Mail. English side Tottenham Hotspurs are ready to fight Italian outfit Napoli for Aston Villa left-back Aly Cissokho, according to Daily Mail. 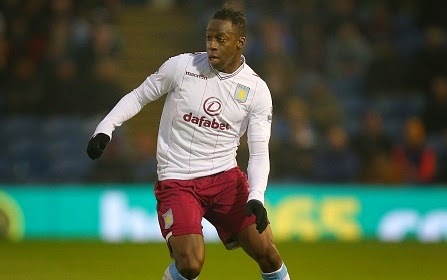 Aly Cissokho has impressed in the Premier League since his £2 million move to the Villa Park in the summer. His attacking ability and inswinging crossing have been a big positive point. Tottenham and Napoli both are eyeing him for the January window despite of thinking that he signed a four-year deal at Aston Vila in summer. Cissokho signed for Aston Villa from Valencia, he played last season at Liverpool on loan which was the major attraction point for the Villains. Reports are claiming that he might not be a part of Villa next month as Spurs and Napoli are taking serious interest in him. Cissokho is a regular player for Aston Villa, he has made 14 appearances for them so far in the Premier League this season. Villa manager Paul Lambert will surely want the French full-back to stay but has also told the scouts to keep track of a new left-back. This position is a kind of problem for the Villa boss as he has experimented Joe Bennett, Ryan Bertrand and Antonio Luna for that role and when he found the right player Cissokho, reports have started linking him with a move.